For centuries the word of God was transmitted to most of Christianity, especially in the western world, through the Latin Vulgate. Its history starts around the 4th century and it goes on well into the 20th century with the publication of the Nova Vulgata in 1979. 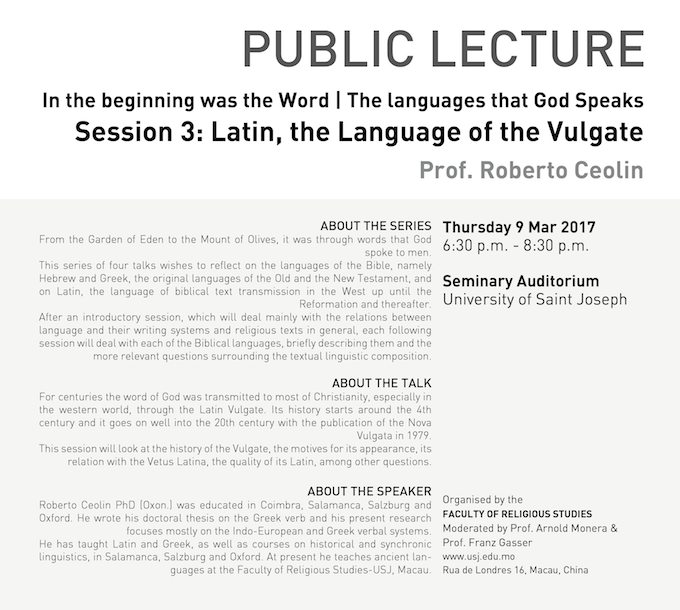 This session will look at the history of the Vulgate, the motives for its appearance, its relation with the Vetus Latina, the quality of its Latin, among other questions.